Kit Rae's Sedethul features an AUS-6 stainless steel blade with false edge, a deep blood groove and laser engraved Kit Rae emblem. 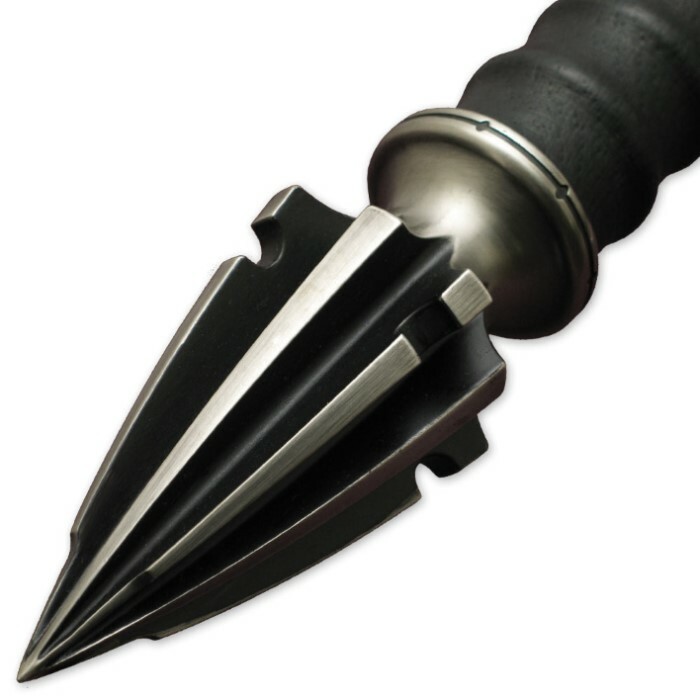 The hilt is wrought with an ornately decorated solid metal hand guard, a genuine leather wrapped grip, and a ridged, armor piercing pommel. Serial-numbered and strictly limited to 2000 pieces worldwide. Includes a custom art print hand-signed by Kit Rae, and a certificate of authenticity. 45 1/4 in. overall, 33 in. blade. Just got this Sick, Dark and Medevilish looking beast. One of my first real non craigs list swords and will prob be my best for awhile. Looks like no other sword on this site, well maybe besides the other kit rae's. Only thing is that I didnt get the autographed art work, but not too worried bout it, I got the sword. But if anybody would like the art work I suggest you call beforehand to make sure its sent. But this sword is a great piece of art and should not be used by the National Backyard Cutters... Lol. Hang it up and admire it. Great Sword! Response: We apologize for any inconvenience this may have caused you, we have taken a look at our stock and see that they do not in fact come autographed, we are fixing that as we speak. If you would like a refund please give customer service a call at 800-735-3326 and we can get that taken care of for you. Pictures come no where close to doing this sword justice. It is flawless. Only thing is I didn't get the autographed picture, but oh well. The sword is what matters here. Definitely will buy another Kit Rae in the future. This was my first sword purchase and I'm beyond happy with it. 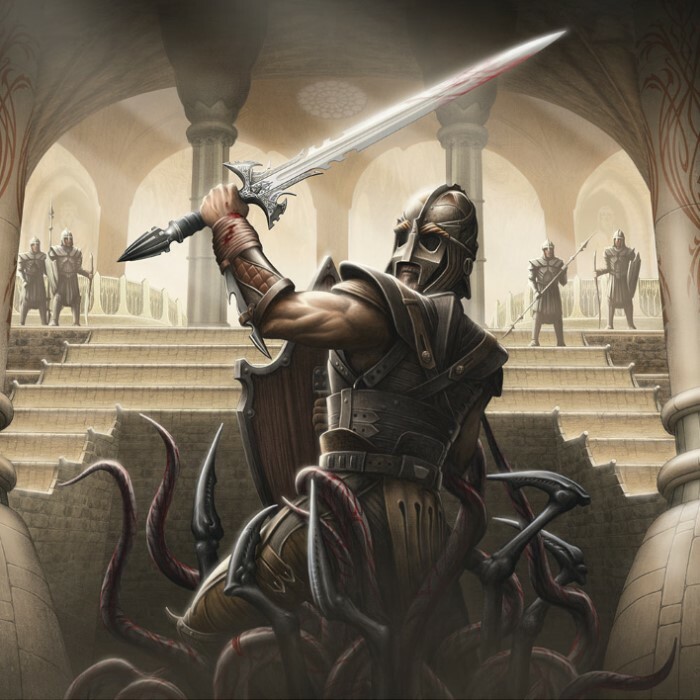 Kit Rae does an absolutely fantastic job on his swords. Much bigger and heavier than the picture may lead to to believe (more of a 2-handed sword), and with amazing detail throughout. Got the sword, poster, and certificate all hanging on my wall as my most prized and beautiful piece of work I've been able to buy. Worth every dollar, and as always True Swords ships in a matter of days. Beautiful sword. put together solidly, well crafted, heave solid. Very Very happy with the purchase! BE VERY CAREFUL! this sword will spoil you! You won't be able to appreciated the $15 - $50 sword EVER again. This sword feels like a real warriors sword. The detail is amazing! 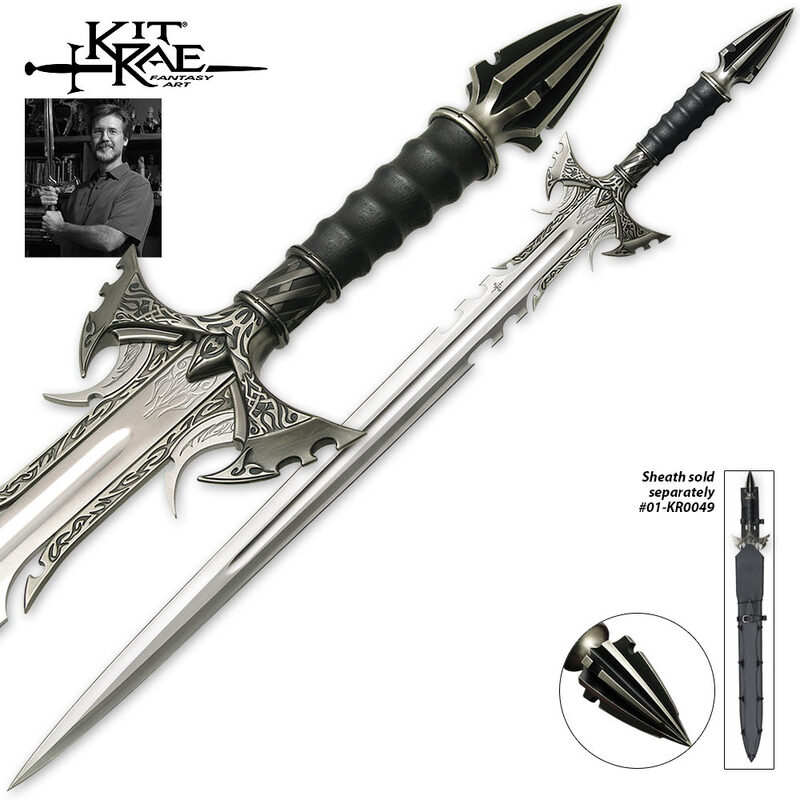 Kit Rae's swords are beautiful and deadly... a perfect balance of form and function! The sword is a masterpiece....not really more to say...been big fan of kit rae for long time and his designs keep getting better and better. ..the sword is perfect weight for me and is just stunning on the wall....bought kit rae wall plaque to hang it on ....looks totally awesome together. ...definitely a must have! Interesting design. I was expecting a lighter sword, but its actually pretty heavy. I bought it as a display sword and it definitely works for that, although it looks pretty sturdy. I wont try it for real because I would kill myself if I got a scratch on it. I'll be buying more Kit Rae. The first time I laid eyes on this sword I knew I just had to have it. I've been buying swords for my son since he was born, and now he's 12 yrs old and loving his Kit Rae collection. It ranks right up there with his swords from Marto! Keep them coming Mr. Rae!